United Airlines will add daily summer service between San Francisco and Munich, running from late May through early September. To the second point, that means you can use your miles to upgrade, but not to actually book (unless you want to pay an outrageous 150K one-way instead of the saver rate of 57.5K one-way). Upgrade costs vary based upon the specific economy class fare you book, but run 20K miles + $550 each way on the cheapest fares. Always check the price of discounted business class tickets before upgrading: sometimes the difference does not justify the upgrade. Based upon the limited summer seasonality of this route, it appears United is targeting leisure travelers for this route. There were rumors that in light of the depressed oil industry, the Houston to Munich flight would be axed, but it remains in the summer schedule. The market dynamics in San Francisco are totally different and the route will certainly attract tech traffic along with leisure passengers. Hopefully if it performs well, United will make it year-around: especially because SFO-FRA goes from 2x to 1x daily in autumn and will further lose capacity when the 747-400 is replaced by a 777-200. 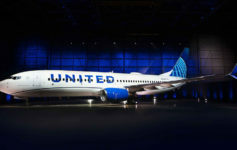 United joins its joint-venture partner Lufthansa, who already offers non-stop service between SFO and MUC. The Lufthansa flights departs San Francisco late in the evening and returns later in the afternoon so the United flight will appeal to those who wish to get in a day of work or sightseeing upon landing in Munich. New international destinations are always great and this new service to Munich will no doubt be popular. The question of whether it will perform well is a different topic, but I see no reason to believe that it will not. Seems like they’re missing out on Octoberfest travel by ending the service in September.